Niger state youths under the auspices of the YouthLeadNigeria protesting against the continued power outage in the state to resume its protest on Minna today. The group threatened to shut down the three power plants of Shiroro, Kainji and Jebba in the state. 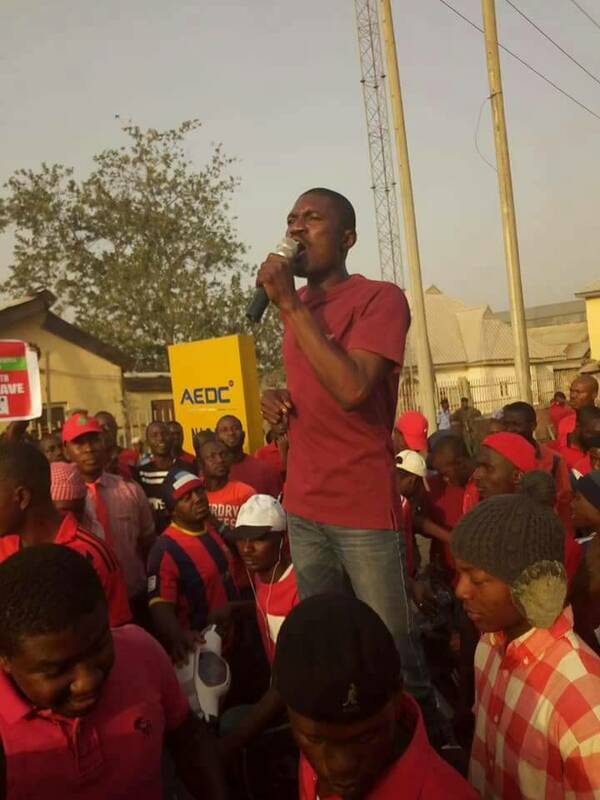 The Convener of the group and President of the protest tagged #powerpowerstate, Comrade Mohammed Etsu stated this in a press conference at the weekend in Minna the state capital. Etsu hinted that all youths from the state would commence a sit out protest at shiroro road today adding that it would culminate in the shutdown of shiroro hydro electricity power station if the Abuja Electricity Distribution Company (AEDC) failed to meet the demand of steady electricity supply in the state. He said that the body of youths has also engaged legal expects to institute a suit of N100 billion claims in compensation for damages incurred by customers resulting from estimated billings and frequent power surge in which several people have died and houses burnt without compensation. He said that the suit will soon come up for hearing at the High Court adding that the group has gathered enough evidence and data to prosecute its case against the insensitivity of the company. “We have decided to embark on this protest and we will shut down the power stations if government and AEDC ignore our demands. Niger state has three power plants and yet we are always in darkness. We the youths say no to this kind of injustice and oppression. All we are demanding for AEDC to give us light”. Etsu further said that power outage in the state was grossly affecting businesses run by the youths adding that barbing saloons, tailoring shops, vulcanizing and other small scale factories have packed up for lack of power. He decried that the state government has not shown enough interest beyond wanting the youths to remain dormant in the face of the hardship caused by the lack of electricity supply to the state. He said that from all indications the state government can no longer handle the situation and that it was obvious that the visit of the Niger state Deputy Governor Ahmed Ketso to AEDC in Abuja did not yield any results. “we will march from Shiroro power plant to Jebba and Kainji and shut them, we don’t mind the consequences, unless the AEDC improves power supply to Niger state,” he concluded.